It’s important to brush teeth well to avoid cavities. How well do you brush? The American Dental Association recommends that you brush your teeth twice a day for two minutes. Here’s a clever way to make sure you brush those pearly whites long enough. 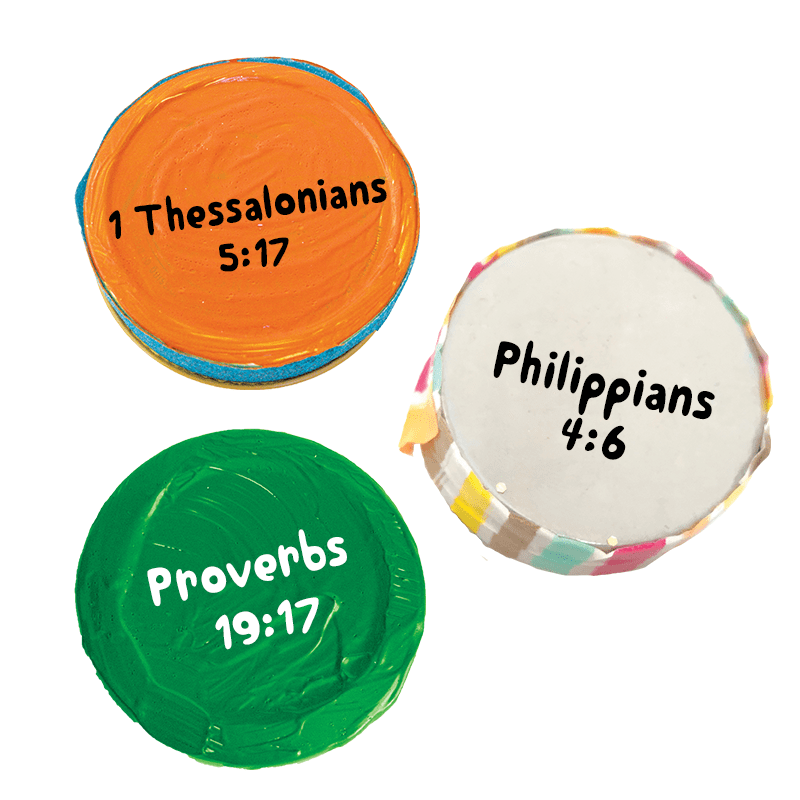 a paint pen or permanent marker to write your Bible verse on the lid. Fill 3⁄4 of the jar with water. 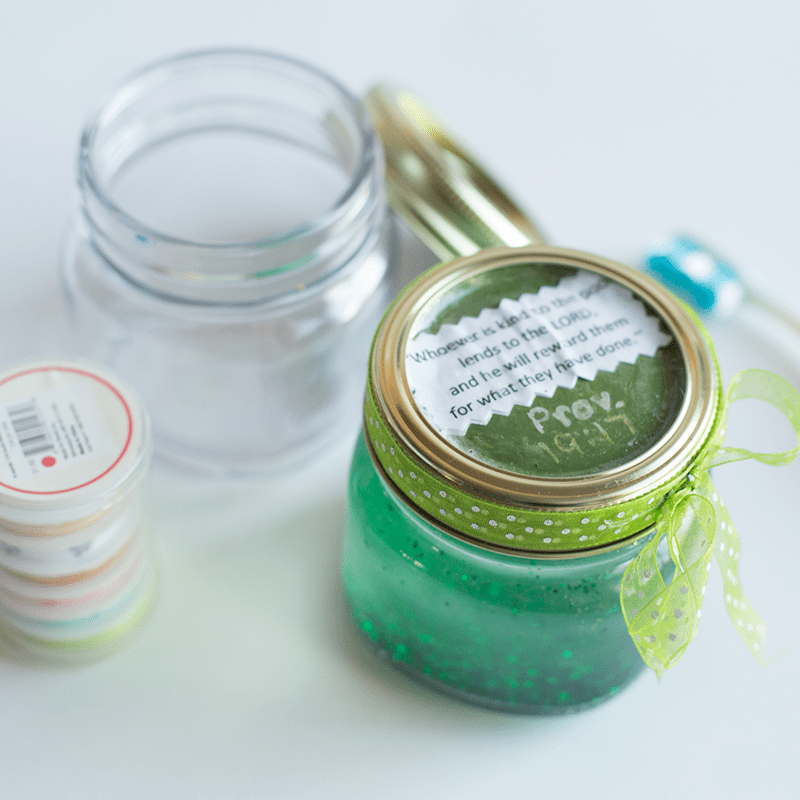 Then squeeze some of the glitter glue into the jar, plus 1 tsp. glitter. Put on the lid and shake well. Test and add more glitter glue and glitter as needed until it all takes about 1 minute to settle to the bottom after you shake it. Next time you brush your teeth, shake up the jar and place it on the counter. Brush your top row of teeth until all the glitter settles to the bottom. Then shake up the jar and brush your bottom row until all the glitter settles again.